A happy St. Patrick’s Day from Churchillpolarbears.org. looks like the green northern lights are still blazing in the Arctic sky. Thanks Natural Habitat Adventures guide Court Whelan for the awesome aurora borealis shot. Sliante! Aurora green in the sky for St. Patricks Day in Churchill. Court Whelan photo. Here’s the updated musher roster for the 2016 Hudson Bay Quest. This year’s race leaves Churchill heading towards Gillam on March 17th…yes St. Patrick’s Day. Let’s hope the luck of the Irish is with the mushers and helps with the weather. As the race draws nearer we will have updates and musher profiles.This year’s race will be another exciting event in the north! Traditionally the HBQ has around 17 mushers in the final field. registration is open and we expect a few more entrants. March 13th marks the start of this year’s Hudson Bay Quest dogsled race. This year the race begins in Gillam, MB and finishes in Churchill, MB. The start date is slightly earlier this year as it has been closer to St. Patrick’s Day (March 17) the past few years. should be a festive winter atmosphere as the mushers guide their sleds toward Churchill. 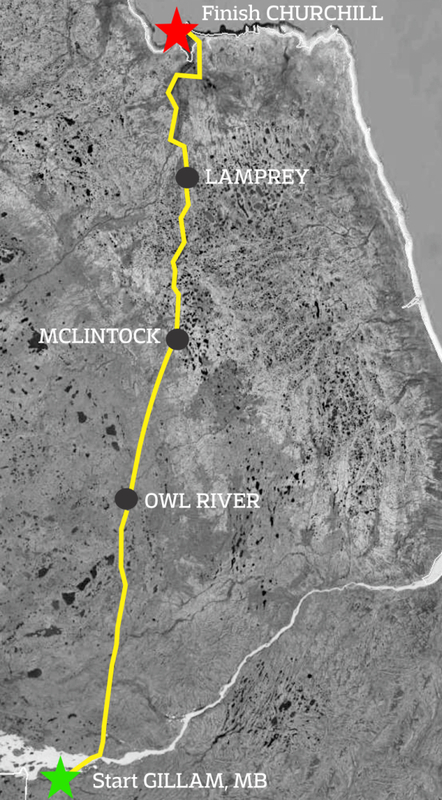 Take a look at the 2015 updated musher roster and race map courtesy of Hudson Bay Quest website. This is the official list as our Race Marshal has reviewed the racer’s qualifications. This list reflects the order of registration, and will be used for the bib draw. Welcome to the 2015 HBQ!